تتميز جميع استوديوهات Arista of Rotorua بحوض استحمام ساخن وفناء خاص، وتبعد مسافة 20 دقيقة سيراً على الأقدام عن سبا Polynesian الشهير. ويحتوي مكان الإقامة على منطقة للشواء وملعب على شكل سفينة قراصنة للأطفال في حدائق جميلة. ويتمتع الضيوف بخدمة واي فاي بسعة 3 جيجا بايت مجاناً في اليوم الواحد. تقع استوديوهات Arista of Rotorua على بعد مسافة 5 دقائق بالسيارة من وسط مدينة روتوروا، وتبعد مسافة 10 دقائق بالسيارة عن مطار روتوروا. ويبعد Paradise Valley Springs مسافة 15 دقيقة بالسيارة. يتوفر بشكل قياسي مطبخ صغير يضم ميكروويف وثلاجة في جميع الاستوديوهات الفسيحة. وتحتوي جميع الاستوديوهات الدافئة على مشغل دي في دي وتلفزيونين بشاشة مسطحة مع قنوات فضائية. يمكن لمكتب الجولات السياحية حجز رحلات لممارسة رياضة المشي لمسافات طويلة وحجز التذاكر لتلفريك Rotorua Skyline. كما يوفر مكان الإقامة مرافق غسيل الملابس للضيوف ومرافق خدمة تخزين الأمتعة ومنطقة لغسيل الدراجات وغرفة تخزين مدفئة. ويتوفر موقف سيارات مجاني لسيارة واحدة لمكان إقامة. حصل Arista of Rotorua على شهادة موثقة من TripAdvisor للتميز لعام 2012 و2013. وفاز في عام 2015 بجائزة اختيار موقع TripAdvisor لأفضل فنادق عائلية في نيوزيلندا. We had a pizza party in the hot tub! It was pretty awesome! One of the highlights of our honeymoon trip to NZ! the location is very good. the room is very clean. only one disadvantage is that there is no staff there in the evening. There's more than enough space for our family of 4. There's a decent collection of DVDs available to enjoy as well. Keep up the good work to continually maintain and improve this place! The lady owner is very friendly and helpful. The facility is perfect. The bathroom has mould around the shower floor and walls The parking is convenient. It was an excellent place to stay. The apartment was really clean and the bed very comfortable. The spa bath was a highlight and the staff were very friendly and lovely. Staff was really helpful and provided very easy late-night check-in option when our flight was delayed. Our rooms were always kept clean and the place was just a pleasure to stay in. Arista rotorua was our favorite motel at rotorua, nice service, the room bigger enough for a 4 people family or even more, my kids enjoyed stay at Arista, hope I can get a good price next time coz I think the price seems a bit high. Well equipped kitchen, nice warm house with a private bathtub ! Great location, Close to everywhere. We love it! Sure will stay again ! Rooms were spacious on two floors with modern decor and amenities. Lovely toiletries and outdoor hot tub. Great location close to all of the main tourist sights. We had a lovely stay, shame we weren't there for longer. Do not hesitate in booking here, we were really impressed! Stayed in a family mezzanine suite for 2 nights in March. 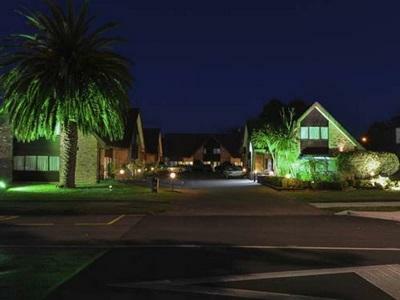 Well located for easy access to Te Puia , Polynesian spa etc, but positioned on a major roads so - no view. However, quiet. Well equipped.Very pleasant staff! It's a big space but not quit new. It's ok for its price! Visited during winter and the hot tub was apt for our vacation. Free movie rentals. My kids loved this place. Good location, Clean rooms, Fully equiped kitchen, Comfy beds and Friendly staffs. Highly recommend for Families and groups.